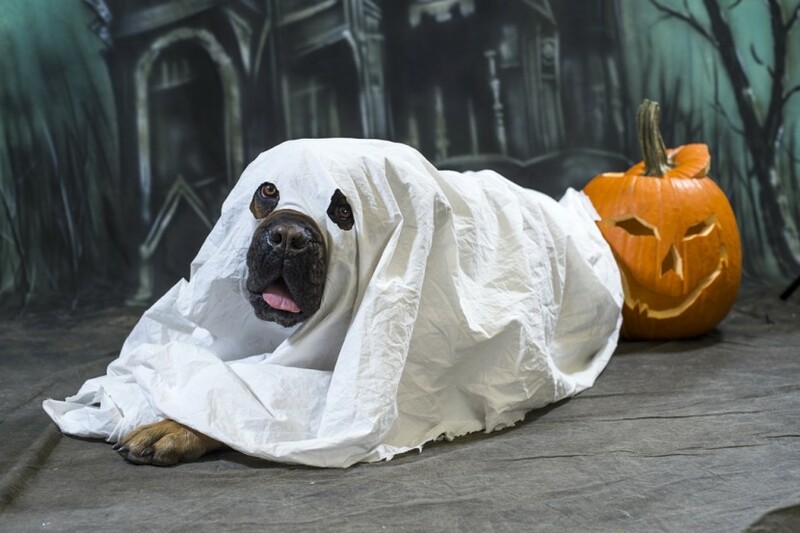 Halloween is just a few weeks away, and it’s high time to start planning the spooky, funny or kooky costume you’ll be sporting this year. From do-it-yourself (DIY) classics to on-trend ideas, we’ve rounded up some of our favorite finds on the ‘net to give you more than enough material to work with for your next trick-or-treat outing. We love this idea pulled from a fun DIY list. In Alaska, one of the most important elements to a costume is whether or not it can be easily made weather-appropriate, and this one fits the bill. It’s not every costume that includes an umbrella as an integral prop. But make sure to keep track of your salt, otherwise you’ll end up just looking like a girl expecting rain on Oct. 31. Have a stack of cardboard boxes piled up in your garage? 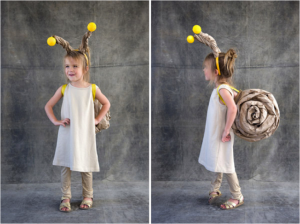 Then this is the perfect costume for you. 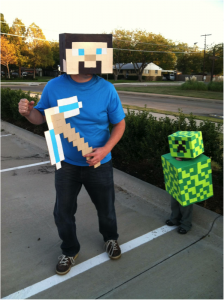 Minecraft is a pixelated computer and video game that kids have been going crazy for over the past few years. It allows users to build their own worlds and choose their own adventures. As involved as the game is, all you’ll need for this costume are cardboard boxes, scissors and paint. Toward the end of October, Alaskans are beginning to crave sunshine. 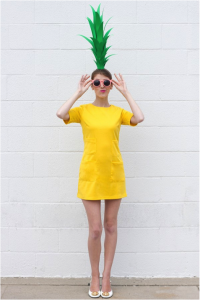 And nothing really screams “SUNSHINE” like this pineapple costume from Studio DIY. We love the simplicity and brightness of the whole ensemble, but let’s be honest – it’s all about that hat. 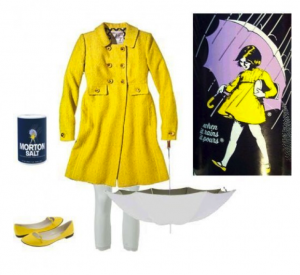 Another umbrella costume! 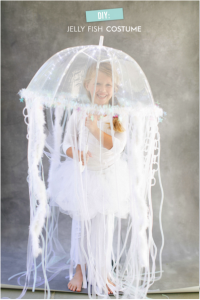 This jellyfish ensemble from Style Me Pretty is seriously creative. With a clear umbrella, some LED lights and other goodies like a boa, pipe cleaners and tulle, you’ll probably have a hard time ever wanting to dress like anything else again.